Tennis is a global sport. And Wimbledon is tennis’ biggest event. The biggest Grand Slam of the year (after the French Open of course) Wimbledon has moved into its crucial stages now. At the moment, most of the top players in the world are just a single win away from reaching the quarterfinals of Wimbledon. Viewers did not get to see the Big Four of tennis at this year’s Wimbledon. Nevertheless, what they did see were plenty of surprises. In other words, shock defeats. The majority of the top-seeded players at Wimbledon crashed out of the tournament before the 4rth round. This is something that tournament organizers have to look into. Perhaps not so surprisingly enough, Wimbledon will also decide who of Roger Federer and Rafael Nadal will become the new number one in the world (Update: Nadal has secured his number one position in the world regardless of what Federer does this tournament because of the fact that he has won three matches at Wimbledon). Wimbledon will also decide if Federer can increase the gap between himself and Nadal in terms of the total number of Grand Slams both have won throughout their illustrious careers. And we all know how one judges players in the greatest of all time debates. The first thing is the number of slams and the second thing is the number of years the given player has finished number one. In other words, this Wimbledon is super important for both Federer and Nadal. Currently, Federer has five year-end number ones to his name while Nadal has four. Moreover, Federer currently has won 20 slams while Nadal has managed to win 17. And the stage has been set. Both look set to make their places in the quarterfinals without breaking a sweat. Novak Djokovic is making steady progress as well. So is Andy Murray, but outside Wimbledon with his coaching team (he withdrew from Wimbledon before the tournament even began). The defending champion also happens to be Roger Federer. Among the top seeds like Rafael Nadal, Alexander Zverev, and Marin Cilic, only Nadal remains in the tournament. It is hard to believe that Wimbledon only started on July 2nd and we have already seen so many big-player shock exits. However, fans will find relief in the fact that moving into the later stages of the tournament they still have the likes of Rafael Nadal, Roger Federer, and Novak Djokovic to entertain them for another week. These three players combined probably make up 90 percent of the fan following that Wimbledon attracts every year. 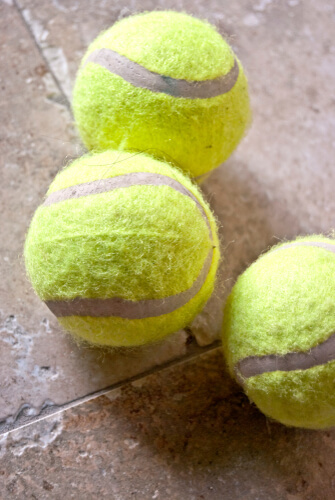 And since we’re also among those fans, we have decided to write a guide on how to watch Wimbledon outside UK. Using our guide, you will have no trouble in watching Wimbledon online and live. After you have read the whole of our guide, you will know everything there is to know about how to watch Wimbledon final this year as well. We will also take a look at how users can take advantage of open source media players such as Kodi in order to watch Wimbledon outside UK. This one is really simple if you think about it. BBC represents not just a great channel of everything but also the only official broadcaster of Wimbledon this year. That means, anyone who has access to BBC content can live stream the whole of Wimbledon without any problems. BBC is scheduled to show all the matches via its BBC iPlayer stream. If the user is living in the United Kingdom, there isn’t a lot to do in order to access BBC iPlayer service online and watch Wimbledon outside UK online and for free. With that said, users who are not living in the United Kingdom cannot take advantage of BBC iPlayer to watch Wimbledon outside UK. This is because of the geo-restrictions that BBC has put on its BBC iPlayer service. Anyone who tries to access BBC iPlayer stream online from any given location that is not in the United Kingdom will only get to see an error message. The error message will politely tell the user that BBC iPlayer only works for people who live in the United Kingdom. It will also inform the user that BBC is sorry for this inconvenience but they have to give due respect to all the rights issues. After that, the error message will give some troubleshooting options for users who are inside the United Kingdom but still can’t manage to get a hold of a Wimbledon BBC iPlayer stream. We know exactly how users can overcome this problem. All that the user has to do is to use a VPN service in order to watch Wimbledon 2018 online without any cost. Any VPN service that is worth its salt has the capability to allow users to change their IP address and hence their virtual location. After that, the user should have no problems in streaming content from BBC iPlayer and watching Wimbledon outside UK. 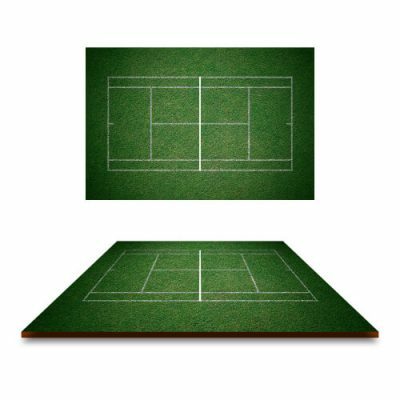 With a good VPN service provider, the user will have the option of watching Wimbledon from any location on the map. But since there are so many VPN service providers in the market, how do you know which one works with BBC iPlayer? Well, we have gone out in the wild and have spent countless hours trying to find out which VPN service is the best when it comes to streaming Wimbledon via BBC iPlayer outside UK. We think that NordVPN is the best VPN service when it comes to streaming Wimbledon online for free. Because NordVPN has a big VPN network and offers the most number of security measures out of any elite VPN service provider. With NordVPN, no one will ever know what you are doing in the online world. Besides, NordVPN won’t just unlock BBC iPlayer. It will also block US Netflix and many other streaming sites for users who want to access these streaming websites. Plus, it comes with an official money-back guarantee so users are taking no risks when they sign up for a VPN service like NordVPN. To sign up for NordVPN right here and right now and that too from the official website, click here. As mentioned before, Wimbledon is considered one of the most important and popular tennis tournaments in the world. It is truly one of the few sporting tournaments that one can call an international event. Hence, no one should find it surprising that Wimbledon has a huge fan following and can compete with any other tournament in the world in terms of global presence. We have done some research and have compiled for our readers a list of good channels via which they can watch Wimbledon online right from the comfort of their screens. The list goes something like this. BBC iPlayer for people living in the UK. Sky Italia for people living in Italy. beIN Sports for people who reside in the Middle East. Sky Deutschland for people who live in Germany. Tennis Channel for all tennis watchers in the United States of America. ESPN for more people who live in the United States of America. Cord cutters live in fortunate times. We say that because they live in a time where they can watch all their favorite stars who play tennis such as Novak Djokovic, Rafael Nadal, and Roger Federer compete against each other on the grandest of stages. With all the streaming services available now, these cord-cutters have the very special opportunity to quench their cravings for watching some of the biggest sporting events in the world such as Wimbledon and others as much as they want. Of course, they first have to make sure they have given due time to their other responsibilities as well. With that said, here is a list of different and equally good online streaming services that we believe cord-cutters can sign up for in order to watch the most important stages of Wimbledon this year from the comfort of their homes and/or their offices on their screens without much hassle. One of the most impressive streaming services out there in the online world is Sling TV. And the reason for that is as simple as the fact that it streams some of the biggest sporting events in the world. Wimbledon is one of those sporting events. Sling TV will cover the whole of the Wimbledon tournament this year. In other words, cord cutters can use services such as Sling TV in order to watch Wimbledon outside UK without a cable subscription. All that users have to do is go to the official website of Sling TV and then sign up for one of its packages. We suggest that users should go with Sling TV Orange package. This package is pretty cheap. And more importantly, covers the Wimbledon tournament in full and live via channels such as ESPN. Of course, users have to make sure that they have turned on their VPN service before they go to the official website of Sling TV to sign up for one of its packages if they want to have a stress free time. After Sling TV, there is DirecTV Now. Cord cutters who like to have lots of options can take advantage of DirecTV Now if they don’t feel like watching Wimbledon via Sling TV. DirecTV Now, just like Sling TV is scheduled to show all the matches that will take place in this year’s Wimbledon. So there is going to be a lot of nail-biting content. At the time of writing this guide, DirecTV Now offered users a total of five packages. We say five packages, but the more accurate term to describe these packages would be that they are just packages with different pricing models. $50 per month for the Just Right package. $60 per month for the Go Big package. $70 per month for the Gotta Have it package. $45 for the Today MAS package. All packages have a monthly payment cycle. In other words, users have to pay DirecTV Now on a monthly basis. Just like we mentioned before, cord cutters of the modern world have a lot of choices when it comes to watching any type of content from any type of source. So for those who are not satisfied with the service that they have received from the likes of Sling TV and DirecTV Now, Fubo TV presents a nice alternative. It is an appealing choice for people because of the way it has managed to compete with all the big guns out there in the world of sports streaming. Perhaps that the reason why FuboTV found it appropriate to buy streaming channels for Wimbledon this year. Cord cutting fans who want to have lots of choices when it comes to channels will enjoy their stay with FuboTV as their primary streaming source. Currently, FuboTV offers users a total of 70 channels for streaming all sorts of content. In return, it expects the user to pay around $44.90 per month. That is a lot, no doubt. We think that is a bit too much money for a lot of people when they don’t know how good or bad the streaming service really is. This is why FuboTV comes with an official seven-day free trial. Users are free to check out the performance of FuboTV and all its streaming channels without the risk of wasting their money. Some users don’t want to leave their Apple TV. Well, it is all good news for them since they can now watch Wimbledon and all its exciting matches with the help of nothing but a VPN service and their screens. All that Apple TV users have to do is to first download the BBC iPlayer app by going to the official Apple app store and then signing in with their login credentials. When users have done so, they will have the option of witnessing each and every Wimbledon match live hassle-free. Remember, users who want to watch Wimbledon outside UK or even outside US have to deploy a good VPN service in order to unlock content related to Wimbledon. As mentioned before, BBC iPlayer will not stream any content if it detects that the user is not from the United Kingdom. Online streamers who would like to use their Amazon Fire TV Stick device for not just Amazon Prime Video content but also to watch Wimbledon outside UK can do so starting this year’s edition of Wimbledon. The process of doing so is pretty simple as well. Users have to go to the official app store on their Amazon Fire TV Stick device. Then they have to download the official BBC iPlayer app. After that, it is just a matter of installing the app and then logging in. Again, we would like to remind users that if they want to watch Wimbledon outside UK and live then they will have to make use of (after signing up) of an Amazon FireStick VPN app. Users who have already spent a bit of time searching the internet for ways to watch Wimbledon outside UK would probably have come across many free streaming websites and services. What we would like to inform such users is that the majority of such services which offer free content don’t really offer content that is of HD quality. In fact, our research shows that some of these free streaming sources can even pose a threat to the user’s privacy. You sign up for a VPN service. A VPN service is a perfect tool against such free streaming services that try to bombard the user’s screen with a ton of advertisements. These free streaming services can also infect the user’s machine with all types of nasty malware. To take an example, there are some free streaming sites that want the user to download and then install a certain given software application in order to start the streaming process. Our research shows that such an offer is nothing but a way for hackers and malware coders to gain entry into a given system. After these hackers gain access to a user’s computer system, they then being the process of depositing malware on the system. This can not only jam the computer machine but also put the user’s privacy at risk. In a similar fashion, there are many free services that enable users to watch Wimbledon outside UK for free and without any credit card information. But the problem with these services is that they too come with geo-restrictions. In order to access such free sources, users have to sign up for a VPN service and then activate it. However, even with all these options, we are inclined towards recommending users BBC iPlayer as the only service that they should use a VPN service with in order to watch Wimbledon outside UK. Of course, users are free to try other options from our list of official channels that enable users to watch Wimbledon online with minimal costs. As alluded to before, Wimbledon is a Grand Slam tournament that beings in the month of June every single year. Most of the time, it finishes before August comes around. This year the tournament began on 2nd July. If everything goes according to plan then the tournament will end on the 15th of July. Wimbledon is different from other Grand Slam tournaments because of its surface. In other words, it has grass courts. Of the other three Grand Slams, two are on hard courts and one is on a clay court. The problem with playing on grass is that it doesn’t allow the ball to bounce very high and is quick. This gives each and every player the opportunity to just go out there and let it rip. Consequently, you see top players exiting the tournament in the earliest of rounds. That doesn’t happen as frequently at the US Open, Australian Open and/or French Open. Now, some see it as an advantage. Because of the fact that everybody has a chance to win, this creates an environment of great anticipation for some and a period of hesitation for others. The All England Lawn Tennis Club Wimbledon always manages to give viewers around the world a good amount of surprises. Let’s talk about when all the crucial stages of this year’s Wimbledon will begin. Who Will Win Wimbledon This Time? The clear favorite this time around is Roger Federer. Even though he will turn 37 within the next two months, he has managed to maintain the levels of fitness and hunger required to succeed at the highest level. He has entered this year’s Wimbledon as the defending champion. And that usually sends shivers down his opponent’s spine. Roger Federer has won Wimbledon a total of eight times. If Nadal is the King of Clay then Roger Federer is without a doubt the King of Grass. 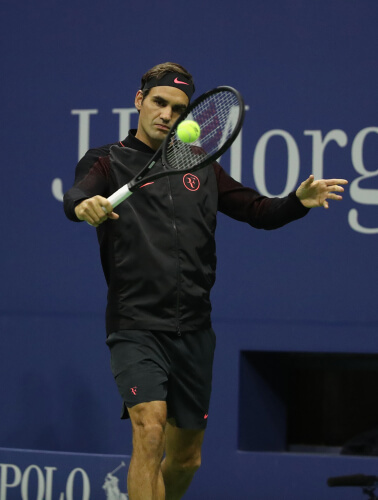 Federer took some time away from tennis because of his back injury a year ago. That seems to have helped him a lot. We say that because since he has become a regular on the tour and stopped playing on clay, he has managed to win three grand slams. Earlier this year, he also won the Australian Open. A year before that, he won the Australian Open by beating his long-time rival Rafael Nadal is a five-set thriller. After coming back from injury and switching to a bigger racket, Federer managed to demolish Rafael Nadal on no more than four occasions. Federer beat the daylight out of Nadal at the Australian Open, Indian Wells, Miami Open as well as Shanghai Open. And since both Nadal and Federer look in top form in this year’s Wimbledon, there is a good chance that we will see both of them competing for the Wimbledon crown, once again. There is little doubt about the fact that the main threat to Federer’s Wimbledon crown is either Nadal or Djokovic. Djokovic seems to be suffering from some spiritual problems so he doesn’t look like the beast from two years ago. That only leaves Nadal who can truly challenge on this surface. But since Federer has beaten Nadal on each and every occasion since his racket switch, it remains to be seen if Nadal can ever beat Federer again on any other surface other than clay. The other thing readers need to realize is that, Federer has not played any clay court tournament this year either. Some believe that has actually helped Federer to prepare for the grass court season a bit better than before. Afterall, Federer won Stuttgart and reached the final of Hallen Open as well. These two tournaments are the most high-profile grass court tournaments that attract some of the top grass court players in the world. Both these tournaments give a pretty good indication of who would do well a Wimbledon. Now, Federer has played both and performed well. 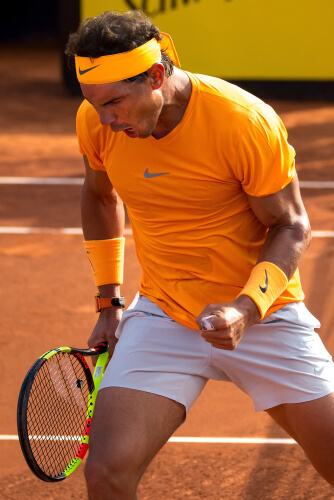 On the other hand, Nadal skipped the whole grass court season in order to focus on Wimbledon and rest up his body after a grueling clay court season where he won a total of four titles out of a possible five. Regardless of his form on grass, there is little doubt about the fact that Nadal is not only the King of Clay, he is also pretty close to being the best player in the world on grass as well. Nadal recently won his 11nth French Open title. No one in the history of the tennis has won so many Grand Slam titles at a single event. It is safe to say that the only thing that is standing between Nadal and another Wimbledon crown is his health and Federer. Without Federer, Nadal would have a pretty clear shot at Wimbledon. As alluded to earlier as well, we simply cannot neglect Djokovic either. He has won Wimbledon a total of three times. Plus, he is the only player in the world who has the potential of beating Nadal and Federer in the same tournament. This is something very few players have done in the past. Djokovic made it to the quarter-finals of the 2016 edition of Wimbledon. And he went down to becoming the 20th ranked player in the world. Despite that ranking, we believe that if Djokovic can sort his head out, he can definitely beat Federer and Nadal on grass. Djokovic is slowly moving up to his full potential. When he does reach that 2011 unbeatable level, it will become almost impossible for anyone else to stop him on any surface. At this point in time, it looks like the two players who are most likely to win this edition of Wimbledon are Rafael Nadal and Roger Federer. But Roger Federer is more likely to win it than Rafael Nadal for the simple reason that grass is Federer’s strength and Nadal’s weakness. With that said, anything can happen. This section of the guide will work for both Jarvis and Krypton edition of Kodi. To be more precise, people who want to see how Federer does in this edition of Wimbledon using nothing but their Kodi media player, will find this section extremely helpful. While doing research for this section of the guide, we have made sure that it covers both Kodi Jarvis 16 users and Kodi Krypton 17.6 users. We will also go through some of the installation instructions that users will need to follow in order to install some Wimbledon Kodi add-ons. If you follow our instructions precisely, then there is every chance that you would face no problem in watching Wimbledon outside UK and otherwise for free via Kodi. However, what users need to make sure is that they have signed up for a Kodi VPN in order to use Kodi add-ons. Well, the thing users need to understand here is that Kodi add-ons sometimes enable users to access high-quality premium content that has copyrights on it. To protect against any copyright action, it is always better to use a VPN service. Remember, with Kodi, users can easily stream premium live sporting events. Copyright holder groups don’t like that. This is just one of the reasons why users should seriously think about hiding their online activity from not only streaming sites but also their internet service provider. A VPN service will not only help users to hide their online activity, it will also protect them against hackers of all sorts. With a VPN service, users can unblock lots of Live TV channels. Moreover, they can watch any and every channel. Even the ones that are not available in their original location. With that said, let’s take a look at what users can do with a VPN service and Kodi on their streaming device. How to Watch Wimbledon on Krypton Kodi. This section will take care of users who are using Kodi Krypton edition 17.6 and lower. With our guide, you will be able to watch Wimbledon outside UK and otherwise for free. From this point onwards, we will assume that users have installed Kodi on their streaming device. In order to find out how to install Kodi on your Android or PC click here. You can also go to the official Kodi website here to download Kodi for your streaming device. To have a look at some of the best Kodi add-ons available that will not only unlock Wimbledon for you but also a ton of other content, click here. First, you need to launch the official Kodi app on your streaming device. Then click the gear icon that appears in the top left corner of the screen. This icon will take you to the Settings menu of Kodi. After that, click on the option that says File Manager. Then you need to scroll a little bit and reach the option that says Add Source. When that is done, you should see a box appearing on your screen. When that is done, look below the current box where it says Enter a name for this media source. Click it and give your new source a name. We recommend that you should use the name UKodi as the new name of your repository. After giving it a name, click OK.
Then go back to the official Kodi homepage. Now, you need to look for the option that says Add-ons. Then, you need to click a box symbol that appears in the top left corner of the screen. When that is done, you need to select the option that says Install from zip file. After that, it is just a matter of clicking the option UKodi when it appears on the list. You may or may not have to scroll a little to come to this option from the list. After selecting UKodi from the given list, users need to choose the option that says repository.ukodil-0.0.5.zip. Then it is time for the user to show a bit of patience and wait till Kodi installs the repository for the user. When Kodi shows the user the “successfully installed” message, then the user needs to make his/her way to the option Install from Repository. From there the user needs to have a good look at all available options and then find the option that says UKodil from the provided list of options. After that, the user has to tap on the option that says Video Add-ons. Then, the user has to perform a click on the option that says Just Sports. Then the user has to click on the Install button that appears in the lower right corner of the screen. Once Kodi has installed the Just Sports add-on, the user needs to go back to Kodi Home. After that, the user has to make his/her way to Add-ons. After that, he/she must click on Just Sports. The next step is to click on the option that says Just Sports Channels Oneclick. When that is done, the user needs to click on Sports. After that, depending on the preference of the user, he/she needs to select either ESPN, beIN Sports, Fox Sports or any other sports channel that is streaming Wimbledon Championships live. Now you have everything you need to watch Wimbledon outside UK using Kodi. The best way to watch Wimbledon outside UK with Kodi Jarvis. This section of the guide will specifically work for users with Kodi Jarvis installed on their streaming device. Kodi Jarvis is the version 16 on the official Kodi website. This guide may also work for users with later editions of Kodi. The first step, as always, is for the user to launch Kodi (edition Jarvis) on his/her streaming device. Now, the user needs to make his/her way to System. After that, the user has to click the option that says File Manager. And then the user has to double-click the option that says Add Source. From the resulting window, the user needs to click the option that says None. Once done, the user needs to his Done. After that, the user needs to click on the option that says Enter a name for this source. Then the user has to give the new repository a name. We recommend that users should go with UKodi. Then the user needs to hit Done. After that, the user has to hit OK. When that is done, the user has to roll back a little bit and reach the official Kodi homepage. From there the user has to select the option that says System. Then, the user has to perform a click where it says Add-ons. When that is done, the user has to hit the option that says Install from Zip File. Then the user has to click on the option that says UKodi. The next step is to choose the option that says repository.ukodil-0.0.5.zip. Now, it is that time of year again where the user has to show a bit of patience and allow Kodi to show him/her a successful installation notification. Only after the user has seen the notification, he/she needs to click on the option Install from Repository. After that, it is just a matter of selecting UKodil and then clicking on the option that says Video add-ons. Then the user has to choose Just Sports. The final step is to click the button that says Install. The user should now have all the means necessary to watch Wimbledon outside UK with Kodi. At the time of writing this guide, all but Federer, Nadal, Potro, Anderson, Isner, Djokovic, Raonic had crashed out of the tournament. Of course, there are other channels that users can take advantage of to watch Wimbledon outside UK on Kodi. Some of these channels come with Kodi add-ons using which users can watch all sorts of live tennis events. Again, users can access these channels easily with Kodi add-ons. We will mention some of those Kodi add-ons in a later section. With that out of the way, let’s take a look at some of the Kodi add-ons that users can install on their Kodi device to watch Wimbledon outside UK right here and right now. Kodi has a lot of add-ons for users who want to watch Wimbledon outside UK with Kodi. These Kodi add-ons don’t only enable users to watch Wimbledon outside UK, they also come with pre-match and post-match live coverage of the whole of Wimbledon. In the list given below, we’ll mention some of the best Kodi add-ons with which users will be able to watch the entire coverage of tournaments such as Wimbledon Championships and others. We have already mentioned the fact that for these Kodi add-ons to work, the user will need to have installed on his/her streaming device. Here is list the Kodi add-ons that are effective when it comes to streaming Wimbledon via Kodi. If there are no rain delays and no one gets seriously injured or gets into a really really long tennis match, then these Kodi add-ons will successfully stream Wimbledon from 2nd July to July 15. The schedule is always subject to change though. This is actually a free method. Here are the steps that users need to take in order. First, users need to launch the official Kodi app on their streaming device. Then they need to make their way to Kodi add-ons menu. Users can typically access this menu from the left-hand side of the screen. After that, users need to hit the box icon which is actually a Package Installer option. After that, users need to choose the option that says Video Add-ons. Then, users need to have a good look at the options available and should find the option that says iPlayer WWW. When users have found the above-mentioned mention, they need to click it. Then they need to hit the button that says Install. After that, users need to let Kodi do its work and wait till it installs the selected Kodi add-on. When Kodi has installed the new add-on and has shown the notification message, users need to hit the Add-ons option to go to a new section. Upon reaching the new section, users then should click on the option that says Video Add-ons. After that, users should select the option that says iPlayer WWW. Sometimes the same option comes in the form of BBC iPlayer only. The next step is to minimize the Kodi application. And then launch a VPN service. Then users must connect to a server that is located in the UK. Once the user has connected to a UK server, then the user needs to maximize Kodi again and select an option from the list of available BBC channels. This is all that the user needs to do in order to stream Wimbledon outside UK for free. How To Watch Wimbledon using Kodi Super Tennis Kodi add-on. After that, you must click the box symbol that appears in the top left corner of the screen. This icon is the Package Installer option. From the next screen, you must select the option that says Install from Repository. Then, the new window should show you another list. From this list, you must select the option that says Kodi add-ons repository. After that, you need to make their way to the option that says Video Add-ons. Then it is a simple matter of clicking the button that says Install. After that, you must open up the Kodi add-on option Super Stennis. Since you want to watch Wimbledon outside UK, you should click the option that says Live. If Super Tennis Kodi-addon is streaming any Wimbledon content at the moment when you click the Live option, it will automatically take over and launch a live stream of the event. This one Kodi add-on is the one that rules over all other Kodi add-ons when it comes to streaming live sporting events. Part of the reason why that is because of its longevity. Federer and Nadal are better than Djokovic and Murray precisely because they have had more longevity than the latter. Similarly, SportsDevil is the one Kodi add-on that continues to perform at the highest level without getting blocked or hacked. Readers should keep in mind that SportsDevil Kodi add-on is a third-party Kodi add-on. And that means it can stream sporting events from all over the world without charging users a single penny. SportsDevil’s popularity has enabled it to be a part of more than one repository. There are many repositories that include this add-on in their library precisely because of its high demand. Its popularity is also the reason why no one has found success in removing SportsDevil from Kodi repositories in such a long time. There are many guides on the internet that guide users on how to install SportsDevil Kodi addon on their devices. So it should not be hard for users to get set up with SportsDevil fairly quickly. How To Watch Wimbledon outside UK with cCloud TV Kodi add-on. Just like SportsDevil, the Kodi cCloud TV add-on is also one of the most popular Kodi add-ons on planet earth when it comes to live TV. cCloud TV currently provides users with more than a 100 premium Live TV channels. All that the sweet cost of absolutely nothing. Among those 100 premium channels, it streams some of the best Sports channels in the world. These channels are bound to stream high-demand live sporting events like World Cup and Wimbledon Championships. The cCloud TV Kodi add-on streams many of the world’s most known sports channels such as ESPN, Eurosport and beIN sports along with many others. Similarly to SportsDevil, there are a ton of guides on the internet that talk about how to install cCloud TV Kodi add-on in detail. It should not be hard for you to find one and get up and running with cCloud TV Kodi add-on. As always, you need to use a VPN service before you can use cCloud TV Kodi add-on in order to bypass various geo-restrictions that channels have put in place to stop specific users from accessing specific content. Is Watching Wimbledon on Kodi the same as watching it on TV and on streaming sites? No one needs to consult the hawk-eye feature in order to determine if watching a big Grand Slam Tournament like Wimbledon is great via Kodi. As for people who live in the UK, they know that the Wimbledon is about to start when they see a bright sunny day just ahead of summer. Wimbledon always brings a mixed bag of emotions with it. So many top players have failed to win this particular Grand Slam. The reason, as mentioned before, is the unpredictability and speed of grass. 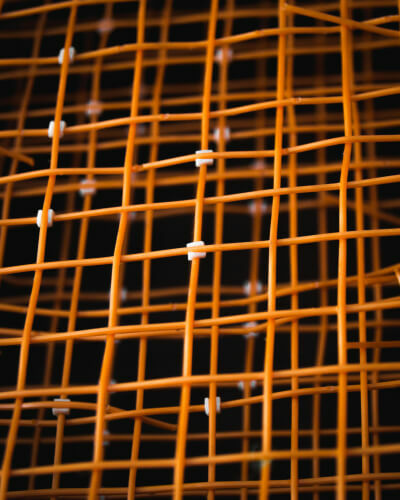 Hard courts are very predictable because of the way they are built. 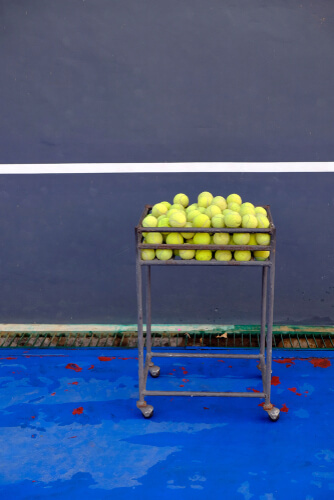 Clay courts are unpredictable but are slow. But grass courts, especially the ones at Wimbledon, are not only unpredictable in terms of ball behavior but also because sometimes they become slow rather than fast. This means, that different players have the opportunity to win Wimbledon depending on the conditions of any given day. Apart from players such as Federer and Nadal, there are many others who aspire to win this prestigious tournament. The foremost among those players are British tennis players. Wimbledon is already exciting, but the factor of the British pride makes it even more exciting. Tennis stars all over the world come to Wimbledon in order to not only win Wimbledon but also beat British players in the process. Some believe, Wimbledon is more prestigious than other Grand Slam tournaments because of the fact that the Duke of Edinburgh himself takes the responsibility of presenting the Wimbledon trophy to the finalists. But, we’ll leave it to the reader to judge whether that is true or not. In the end, it doesn’t really matter who wins or not. Kodi users can rest assured that they will be there to witness it all. 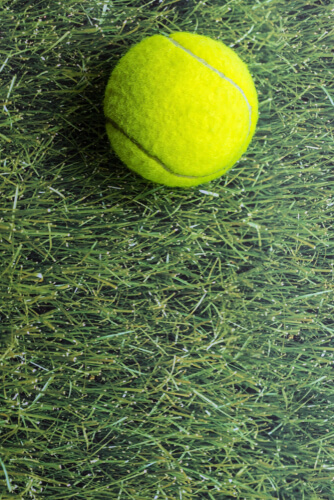 Our research tells us that the best way to watch Wimbledon is to do it via Kodi. Of course, that doesn’t mean it is the easiest way. The easiest way is to sign up for a VPN service, sign up with BBC iPlayer and start streaming Wimbledon there. With Kodi, users have the option of watching Wimbledon from any place in the world. Kodi supports all sorts of platforms from personal desktop computer machines to smartphone devices. In essence, Kodi is truly for everyone. We recommend to all our readers that they should always use a VPN service whenever they try to stream content via Kodi. We say that because a VPN service, or a Virtual Private Network service, protects users from many online threats. The foremost of which is the man-in-the-middle malware attacks. Kodi users are specifically exposed to such types of attacks because they use unofficial Kodi add-ons to access premium content for free. A VPN doesn’t just protect users from such attacks, it always protects users from internet service providers who try to spy on and buffer the user’s internet connection. Modern VPN service providers also help users to bypass geo-restrictions. Perhaps the most important reason why Kodi users should always use a VPN service with Kodi is that VPN services provide complete privacy and anonymity. With a VPN service, users can rest assured that their personal information is safe and secure. The only unfortunate part about VPN services is that not all VPN services are great. In fact, even the ones that do offer good service don’t always suit Kodi users who like to stream a lot of video content. Then there is the fact that a lot of VPN service providers don’t have dedicated apps for different platforms and devices such as TVs and set-top boxes. If users mistakenly sign up with a VPN service that doesn’t have apps for these platforms, then the process of installing the VPN service on these devices becomes overly complex. The other thing users need to keep in mind here is that sometimes VPN service providers don’t have the required amount of VPN servers in strategic locations around the world to unlock all blocked content. This stops users from accessing geo-blocked content on various video streaming sites. Then there are those VPN services that keep logs of what their customers do on the internet. If such VPN services don’t keep their logs safe, then all of the user’s personal data can fall into some very nasty hands. Here at Security Gladiators, we have done proper research to come up with the best VPN service provider that takes care of all such problems. And that VPN service provider is IPVanish. IPvanish is the perfect VPN service for Kodi users who want to watch Wimbledon outside UK. Why do we think that IPVanish is the best VPN service when it comes to Kodi users and Kodi streaming? Well, we say that because IPvanish is among the select few VPNs that offer dedicated apps for all major platforms including Nvidia Shield and Amazon Fire Stick. The company has VPN servers numbered in the hundreds in 60 plus countries. This makes it very effective against geo-blocks. Users can utilize IPVanish security features to bypass all content restrictions. IPVanish doesn’t just work with all Kodi add-ons, it can also block content on other streaming sites. The best part about using IPVanish is that the company has a zero-log policy which means it does not keep any logs whatsoever. Users from the United States of America should consider the various over-the-top online TV services. We have already mentioned some of those in previous sections. In short, you have three options. 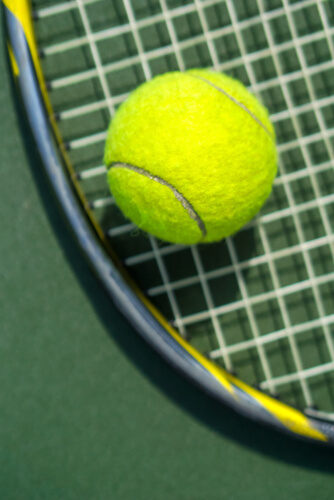 You can subscribe to one of the many cord-cutting internet TV options to watch Wimbledon or you can sign up for BBC iPlayer after you have signed up with a VPN service to connect to a UK server in order to watch Wimbledon. The third option is to use Kodi. We hope you didn’t get stuck on any part. But if you did, use the comments section below to ask for help.